The characters are well rounded and well developed. Lily Gayle is smart, sassy and a well bred Southern woman. She also is as curious as a cat and cannot help getting into trouble with her snooping. So when the local baker is killed, she knows what she has to do. Never mind that her cousin, Ben, who happens to be the County Sheriff, does not want her anywhere near his investigation. Since she is used to arguing with her cousin she does not let that deter her and she begins investigating his murder. With the reluctant help of her friend, Dixie, she is determined to solve the case. Lily Gayle and Dixie’s friendship is so funny and so heartwarming. They remind me of Thelma and Louise without the crime spree. I think that their relationship is one of my favorites in all of cozyville. The author is very talented in her descriptive writing. The small town southern setting was described perfectly and I could hear the gossip grapevine in my mind. The writing style flows smoothly and the book is a quick easy read. There were actually two mysteries in this book: who killed the baker and what happened to one member of the community. The murder mystery was carried on well throughout the entire book. There were enough suspects and twists and turns that it made figuring out the mystery a very difficult task. I did not fully figure out who the killer was until it was revealed at the end. And the disappearance added another level to the book, trying to figure out if the two are related and where the person is. 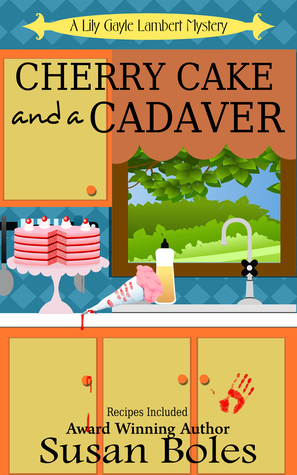 I would recommend this book to anyone who enjoys a well crafted cozy mystery. This is a great series and I cannot wait to read more books. I’m so glad you enjoyed it! Thank you for the review. You’re welcome. Thanks for writing such a great book. I didn’t get it from NetGalley. I got a copy from the author.